Although Google’s search engine algorithms are shrouded in mystery, they are widely accepted as a barometer for gauging the importance of your content on the internet. As a result, a cottage industry has developed that is focussed on gaming the rankings to receive favourable placement. 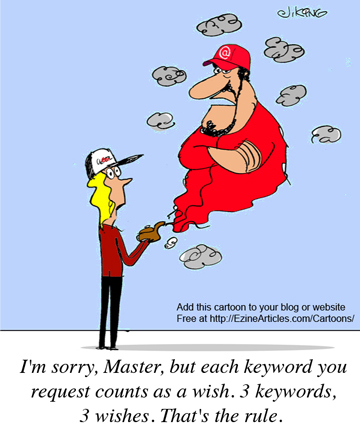 However more often than not, “black-hat” SEO tactics do not work. What works is creating quality content that is useful to your reader. Below are five methods for writing content that will do well in search engine rankings. It is no secret that including keywords within your content is one of the best ways to improve your SEO. Researching the search volume that relevant key phrases receive and implementing them within your writing is an important initial step in creating SEO friendly content. While keyword use is important, it is also something that can be over done. When you use keywords within your writing don’t overuse them to the point that the text reads in an unnatural way. This is known as keyword overloading and it will actually have an inverse effect on your page’s search ranking. Spreading keywords strategically throughout your content and finding a healthy balance of keyword density is critical for promoting better SEO. Meta descriptions are a small summary of your content that search engines utilize to accompany the link to your page in search results. Utilizing keywords within meta descriptions improves your page’s ranking within search engines while simultaneously allowing readers to quickly understand the content’s topic. In a similar fashion to the way in which you implement keywords in meta descriptions, doing so in page URLs also impacts SEO. Having page URLs that offer an indication of the page’s topic or focus allows search engine crawlers to gauge your page’s relevance. A URL that does a good job of reflecting a page’s content improves SEO, while an irrelevant or inaccurate URL has a negative impact. For instance, using the keyword “luxury hotels” in the URL for a page promoting discount motels is misleading. This type of misdirection will cause search engines to discredit your content and rank it poorly. Including links to the sources you used in creating a piece of content will also have a positive impact on its SEO, according to Bit Rebels. In the eyes of Google’s page crawlers, these links increase the relevance and value of your content. Referencing accepted authorities in your industry, linking to articles offering further information and citing your sources are all methods to take advantage of this SEO factor. Also, these links offer more information and value to your readers, increasing the likelihood that your content will be read and shared with other individuals. While the aforementioned techniques represent important steps for promoting SEO, their impact relies on having a quality piece of content in the first place. Writing content that grabs your reader’s attention and offers them value is the most powerful SEO tool you have in your arsenal as a writer. While search engines take the details from the first four steps into consideration, the most important factor that will decide your content’s ranking is its relevance. Creating content that is well written based upon research and interesting to readers will prompt other sites to link to your page. For example, if you’re a blog or website for home owners, you might feature an article on gas monitors. It’s okay to use specific keywords such as RKI single gas monitor in your content as long as you have a lot of it and it’s well written. Managing to have authoritative and well-respected websites link to your page is perhaps the most important factor in deciding whether or not a piece of content will rank highly. In order to encourage other sites to link to your page you must create content that is interesting, informative and relevant to its intended audience. Writing SEO friendly content is a complex and multifaceted endeavour. Although there are hundreds of tips and tricks for impacting the search rankings of your content, the aforementioned methods offer a foundation for improving your content. This article originally appeared on Zopim’s Blog and has been republished with permission. Facebook is by far the biggest social media channel, with an updated estimate of 1.26 billion people using the site, 699 million (updated for October) active users each day, and generate up to 645 million local business page views per week. Facebook has proved popularity amongst users is here to stay. Facebook can be thought of as the “social” home for your business on the Internet. It’s a place where people can go to leave a message, browse through business products and photos, or chat with you online. With so many TARGETED potential customers, creating a Business Page is a must. Remember that your Page needs to be updated on a daily basis with not only promotional information, but engaging and interesting content as well. Know that this platform needs a considerable amount of human and financial resources (Facebook advertising), and, if done right, the benefits to your business will absolutely be seen. 1. Is this the right target for my business? Who is your target audience? Make a list of who and where they are. Determine if Facebook is the place where your audience can be found. At this time, 45% of Facebook users are women while 55% are men, with the largest age demographic being between 25 and 34. Here are some more useful demographics worth checking out. Are your products or services suitable for Facebook. 2. Do I have the resources to make this successful? Human Resources: Creating content, posting consistently, replying to comments and questions (should be done within 24 hours) and engaging with your audience as well as ongoing advertising on Facebook does take up a lot of time. Financial Resources: Advertising on Facebook is definitely a must to increase your fan base. You can start as low as $50 per month and go as high as your budget allows. This is the only way to get results. Promotions and competitions also cost money. 3. Can I make a long-term commitment to this? You have to be able to commit to consistent, daily posting over a long period of time in order to get results. Photos and images are more likely to be Liked and Shared by Fans, while text updates are more likely to get Fan Comments. Posting on Saturdays and Sundays have a higher Like percentage. Shorter posts are more likely to be Shared. Content that is posted later in the day is more likely to be Liked and Shared. Check out more information on these statistics here. Statistics show that 19.4% of Americans cannot access Facebook at work. Take the time of your posts into consideration and when your Fans will see this in their News Feed. Another very important aspect of Facebook is the use of Hashtags (#). When posting about a topic, remember to use a hashtag to highlight the important #keyword. A user can click on this hashtag word and see all the related results for that word. The hastag helps to make your post more searchable for Facebook users. By including a hashtag in your update, you can get in front of people who may not have seen your post otherwise and can create extra buzz and exposure for your business. Learn more about using hashtags on Facebook. Remember that you will have to monitor engagement and draw conclusions about your own Page and its Fans to optimize your presence and results. Tip #1: Post to your Facebook Page on a regular basis. Keep your content fresh and new. Statistics show that the best engagement is toward the end of the week and on weekends. Times to post are debateable, ranging from 9am to 7pm, but again, monitor your own page insights to see what works best. Plan your content a week or even a month ahead! Creating a content calendar is key and will help you to get more creative and plan more strategically smart posts, as well as being more consistent with your posts. Remember to adhere to the 80/20 rule – 80% provide compelling, interesting, funny, even personal content, 20% should be about your products/services. Don’t always talk about yourself or your products. Once you have set up your Facebook Page, you will want to grow it, and to do this, you need to be consistent, relevant and excited in the content you post. Photos and images get 53% more likes, 84% more click-throughs and a 104% more comments than the average text post does. Photos were found to make up a whopping 93% of the most engaging posts on Facebook. Reward your fans for their ‘participation’ in your Page. Small gifts like a company branded T-shirt or gift-card, discounts on products, exclusive offers are great ideas. People love freebies and giving it away to the most engaging fans will incourage sharing on their personal pages and promote viral activity. Here are other ideas. Before deciding to develop your Facebook Business Page, invest the time to make a clear and implementable plan. Many business owners lose their business focus and get “lost” trying to come to terms with social media, which will have a negative effective on the business. A plan really helps you stay focused. You may consider outsourcing this or hire someone in-house (either full or part-time) if you do not have the time to do it. Don’t get frustrated. Stick with it. Facebook takes time and an investment of your time over a sustained period, in order to achieve results. In the last post, Social Media and Your Brand Image, we discussed the significance of creating a cohesive message across all of your social media channels. It isn’t just enough to create your profiles; you must ensure they all clearly communicate your brand image, mission and values without any errors, broken links or poor content. 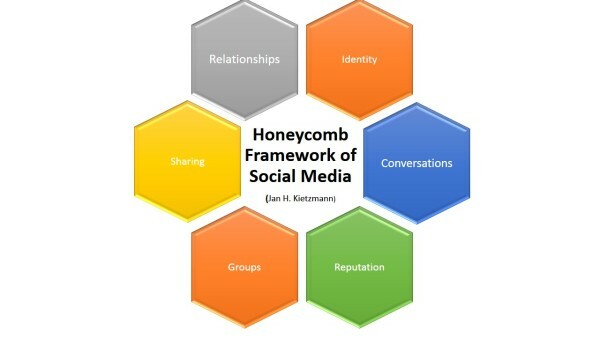 Your social media marketing efforts are the architectural structure, the blueprint toward creating communities, a positive customer experience, brand image, a following, online reputation and a strong digital footprint for a return on investment. It goes far beyond simply a few posts on various channels; it is a two-way conversation. Interaction. Collaboration. Education. Communication. Community. Some clients have inquired about different bits and pieces of marketing components without taking into consideration their current online presence or lack thereof. Whether it is an email campaign, YouTube videos, e-books or teleseminars, without an audience, it won’t matter how much time and energy we invest to create these programs, because no one will be listening. Without the proper foundation and building blocks, other marketing efforts are not nearly as successful because there may not be an audience, credibility, interest or social proof. This is the premise for building your network, being consistent, posting and most importantly, engaging. The engagement and building relationships is what will establish a following and authority. In the compelling article by Fast Company, 10 Surprising Social Media Statistics That Will Make You Rethink Your Social Strategy they list some valuable stats that should help you to understand why you should plan before you simply “throw stuff” at the wall and expect it to stick. The numbers paint a picture! The data is intriguing but just because you have a widget to sell and some passion to back it up, it doesn’t translate to the digital world jumping on your bandwagon IF they don’t know you’re alive. Consider how many people are online, searching for products and services every single day. You need to think about how YOU will be found amongst the sea of herrings. Building and maintaining your online relationships will eventually turn into revenue, but it does take time and effort. You are able to develop not only your brand image and following but also a level of trust and loyalty. People buy from people and when they can see and follow you online, the relationship building begins and eventually converts to business. It is paramount that your digital footprint, in each platform remain consistent and representative of your goals and mission. Even your content must clearly define and support your company and brand. Everything in life has plan, an outline with action steps. Choose your social channel (s) and have a solid strategy, a blueprint of your goals and desired outcomes. You can’t expect to construct a fortress by tossing a girders on the ground. Build your foundation first. What is it to “like” a million dollars on Facebook? May be more than a million dollars―especially for those who have taken up right actions to build up their Facebook Fan Page strong. Facebook Fan Pages absolutely free and available for even those who aren’t having an account on Facebook. That means you can really go far with conquering it. For that, you just have to be a little more active and engage in the right activities on your Fan Page. Let’s know how. There are a lot of things you may be actually doing for owning a ‘rising’ Fan Page. The first thing is sharing. Share things and you will know how it really matters. To begin with, you can share links which automatically be seen for a fixed time on the walls of your fans. Don’t stop and make it a routine to share on your Fan Page interesting content, facts & links with your fans. Don’t be without a question. Raising query can get you closer to your fans. It works simple if you ask someone for something, the person feels catering to your approach. For example: What is the secret of your successful day? This is one sure shot for getting easily listed with your fans. There is so much that you can say by placing good photos and say what you want to say. They are a big way to engage, attract and get back. If users like it, they are going to return. Got it! Facebook contests are best for both engaging existing fans and reinforcing a new fan base. You can keep up little awards to chill your fan base. It works super well as your fans are likely to return for seeing the results and for more contests from you. This is an out-of-the ordinary deal that you can offer your fans and win their further interest on your Fan Page. The rewards are sure to win just anyone’s notice. So, don’t forget this tip. How about endorsing posts on your Fan Page? Endorsed posts acquire a bigger fan following for you. That’s why if you decide to promote them on your Fan Page than on your personal page, you are going to get more push. For example, you can share posts on your Fan Page like that of your company CEO’s interview, any article, video coverage of your company product, etc. This is how endorsed posts work. They bring you more Likes and give analytic access to that particular post. Here we are because we don’t want to be mean. That’s what I meant. It is always better if you can speak for others by endorsing them. You can choose the option of Like a page that belongs to others. Show others pages on your Fan Page which will help in self-directing all together new fans to you. Isn’t it a win-win point? Be good to others and others are good to you. News Feeds enlist updates on your Facebook page, from your friends or may be those who are in your friends’ list. So, if you keep your Fan Page regularly updated, you are showing up on the News Feeds of your fans. It’s just a simple yet an effective way to acknowledge your fan following. They like it on being recognized and will keep engaged with you in future. After reading through the above points, you may be now finding it a lot easier to keep a track on your Fan Page. You can now convince people and fetch their regular Likes and engagement. All it takes is your little creative and consistent involvement. All the best! A mere week after Twitter made its first foray into the stock market, the social networking site wasted no time in announcing a rather fancy new feature. On Tuesday, it was revealed that Twitter Custom Timelines (I hope they come up with a snappier name for them soon!) have been added to their TweetDeck platform, giving users the chance to curate specific tweets to create a story or collection of tweets on a particular topic and share the content, either embedded on a website or using a .twitter.com link. The function bears more than a passing resemblance to existing curating tool Storify, which may leave their bosses worried about what effect this will have on the business. Storify has offered this service for years, but for many, it’s definitely going to be more appealing to curate content directly on Twitter (well, TweetDeck) without the need for a third party. Now, I know what you’re thinking: “Isn’t this just a jazzed up version of Twitter lists?” Well, not at all actually. Lists only allow you to create custom groups of users and the tweets are fed into the timeline automatically. Custom Timelines allow you to cherry-pick the best tweets and present them on your blog or website or share with other Twitter users via a link on Twitter’s website. Users are also able to view all of your custom timelines from your TweetDeck profile on the app. If you host a regular Twitter chat, custom timelines are a great way to curate the best tweets from the session to share on your website or blog as additional content. It will drive traffic to your site from people who were unable to take part, and also draw traffic from people who were involved, because let’s face it, everyone loves publicity! If you don’t host a Twitter chat, consider holding a Twitter Q&A with a member of your team. Not only does it increase social engagement, but by using custom timelines in the same way as you would for Twitter chats, you will create extra content and drive more traffic to your site. Custom timelines offer a great way to cover an event. If it’s your own event, you can use Custom Timelines’ API to curate tweets on certain topics from certain users like your employees who are live-tweeting the event. This is more for the tech-savvy people with access to the API, as it is currently in beta testing. But the great thing about it is that you can choose which accounts should have tweets automatically flowing into the timeline. You can also choose the time span during which the tweets will be added to the timeline which will keep the custom timeline purely focused on that event. Say you’ve brought out a new product or service, you want the whole world to know about it, right?! But no one likes a company that constantly bangs on about how great they are, or retweets every bit of praise they get. This is where custom timelines come in. Using the feature, you could curate tweets about your new product and what people think of them. That way, you can provide potential customers with third party recommendations without shoving it in their face, and you get to keep the trolls and negative coverage out of the way at the same time. Handy, right?! This one refers more to an agency or consultant, but could also be useful for an in-house social media manager. Custom timelines gives you a more creative, easily accessible way of presenting Twitter coverage to your boss or client, without the need for screenshots or snore-inducing spreadsheets. It also gives them the option to see what you’re doing in real-time and how their brand or product goes viral on Twitter. Plus, using the latest feature or technology is always going to look good, isn’t it? So, there we have it. 4 ways to use Twitter custom timelines in your social media campaign. What do you think of my suggestions? Are there any other uses I have missed out? This article originally appeared on Bubble Jobs Blog and has been republished with permission. Some people will read the title of this article and scoff. It’s a very real phenomenon wherein social media marketing loses its efficacy, because you’re in the wrong places at the wrong times or in all the places all the time. This isn’t about whether or not you’ll get tired of posting to social media, as a person or as a company. No one gets tired of talking about themselves. It’s about whether or not you’re over-saturating your avenues of social media with your advertising. 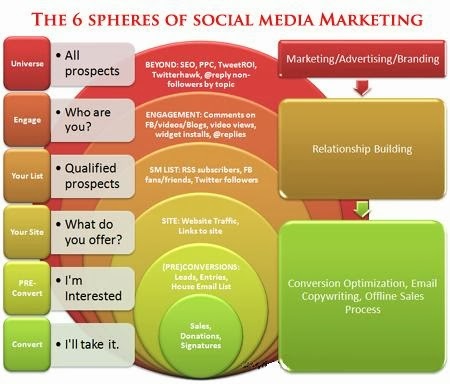 A comprehensive social media marketing strategy requires serious work to keep from going stale or sour. Below are a handful of tactics to help you avoid social media burnout and, ultimately, improve your social media marketing. If you’re expending 80% of your social media effort on Twitter and not seeing the results you hoped, you probably need to find a new platform or two. 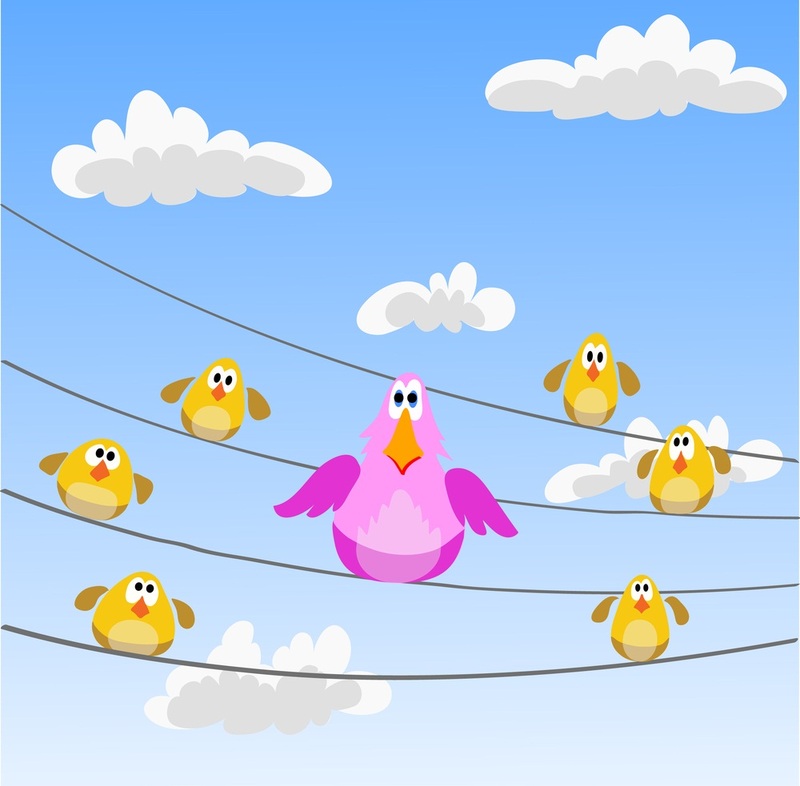 It’s likely that your target market may not have a strong presence on Twitter. There are so many social media platforms at your disposal and they all have slightly different user bases and advantages. The mainstays for any business are Twitter and Facebook, of course, but you could also try the following. Addressing the praise or criticisms reviewers share on Yelp and Foursquare. Dipping your toes into the waters of Vine if you’re feeling creative. Instagram is another place you can release snippets of marketing or ask your fans/ customers to submit content with a prize for the best entries. YouTube is a great platform for demonstrations and Pinterest is a good place to put tutorials featuring your products. Connect with professionals in your field and see if you can’t build some relationships via LinkedIn. Now that I’ve laid out a veritable banquet of social media platforms for you to consider, let me warn not to tackle all of them. If you do, you’ll end up spending all of your time thinking about social media and becoming a mere shadow of the person you were before (like me), because not all of these platforms will be right for you. Choose social media outlets that are relevant to your business — that is, the social media outlets your target market uses. A major concern is making sure that you’re able to stay consistent across your social media outlets both in terms of posting frequency and conveying your intended message. Maintaining a coherent branding message grows more difficult each time you add a new marketing channel, so a good general rule is: having a strong presence on a few social networks is better than having a weak or moderate presence on many social networks. To reassert, relevance is key — not just in platform, but in content. I mean, that’s a really good looking sandwich you’re about to post to the company Instagram account, but is it really necessary? Does it convey anything meaningful about the brand? Does it bring anything to the table for your customers? Being entertaining for its own sake can be rewarding when done in moderation and, if you play your cards just right, it can even become part of your brand personality to make random, playful observations in social media. But people likely followed your company, because they’re interested in what value you can bring to their lives — don’t inundate them with petty posts that have nothing to do with your industry. Sidebar: A quick word on scheduled social media updates: Be very, very careful. You don’t want a tweet to end up in the worst context imaginable, because you used the “set it and forget it” mentality. Social media is all about real-time responsiveness and sharing of-the-cuff personality. Scheduled updates, while arguably a necessity for building a strong social presence, are the anti-thesis of “being real”, so do everything in your power to ensure even your scheduled updates appear to be real-time. Striking the right balance between over and under posting is important. How often should you post on Facebook if you want to maximize engagement? What time of day will get you the most retweets? The rules aren’t all that different for businesses than they are for individual people, but the stakes are usually higher. Visibility of posts can change your sales levels and how much you interact with your customers, though I’m sure you crave attention for personal fulfillment, as well. No one’s judging you. 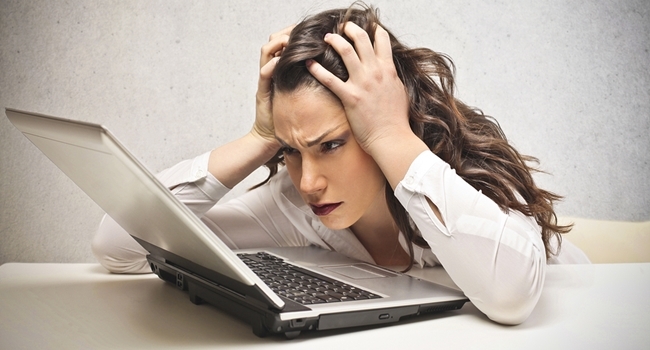 Of course, at the heart of social media burnout is the question: are you posting too often? Even if you’re staying relevant, even if you’re on the right platforms, even if you’re posting stuff that really is interesting, no one will read every single post you send out. Instead of having a mass of posts flooding feeds, limit your post rate so that only the best of the best updates get through. I don’t care how hilarious or insightful your industry-relevant thoughts are — I’m no more likely to read 50 of them every day than I am to watch the same Ron Burgundy Dodge commercial 50 times every day (okay, I might, because Will Ferrell…but you get the point). Spans across multiple social platforms, but only those likely to reach your target market. Stays relevant to its purpose while peppering in some pithy comments. Is calculated enough to scale engagement, but personable and human enough to give off an air of real-time. If you can effectively establish these principles at the base of your social media strategy, you’ll drastically reduce the likelihood of getting burned out or annoying social media users, and, most importantly, you’ll have a more dominant social media presence. Social media optimization is an ever-growing buzzword in the online marketing world today. Otherwise known as SMO or social SEO, social media optimization is about optimizing your social media presence for optimal traffic. Some of the same rules as SEO apply to SMO, but there are also some important differences you need to be aware of. Here are 10 helpful tips on how to optimize your social media profile. Socialize – It might seem obvious, but it’s important to spell it out. Every time you create a social media profile, start by spending some time visiting other people’s profiles, adding new friends and commenting. Networking starts by reaching out to others and initiating the relationship. Multimedia – Don’t be shy adding new pictures, video and other media. Social media sites are designed around media and have plenty of tools for incorporating them in your profile. Working media into your profile makes it stand out and makes the experience more interesting for others visiting your profile. Share – Incorporate share buttons for all of your social media sites on each of your blogs and websites. These include buttons like Twitter’s Tweet This and Pinterest’s Pin It button. Integrate these as much as possible to leverage the traffic you already have. Content – Just like a website or blog, you need to add fresh content regularly. With social media, it’s even more important. Posts are quickly archived and disappear within days or hours. Create a schedule of posting regularly, but don’t let quantity outweigh the quality of your posts. Optimize For Keywords – Work your keywords and target key phrases into your social profiles and posts whenever it’s natural to do so. Completeness – Search engines will show a preference for profiles with all the details available. It also creates a more professional and comprehensive appearance for others in your network. Watch Visitor Behavior – Use the analytics tools provided by each of the social media sites and pay attention to what people are doing. Monitoring behavior will tell you what is working and what isn’t. If some features aren’t being used, eliminate them to cut down on clutter. Share Everything – Create unique, helpful and interesting content and encourage your visitors to pass it around. Viral posts can result in a lot of exposure for your profile. Timing – Pay attention to the timing of your posts and track results. You’ll find that certain times of day get you a better response. Focus on those high-traffic periods. Selflessness – Don’t let your posts revolve around self-promotion. While social media has more of a focus on individual opinion, focus on topics that are helpful to your network of friends and offer advice and information that benefits others.